Are you looking for new solutions to grow your business and improve your cash flow? Then this interactive masterclass is for you. YOU will come away with proven techniques that can be applied to your businesses immediately. Already, the strategies from this masterclass have made great improvements for many business owners and we will be doing the same again on the 26th of February. Owner of Bucks Business Advice Ltd, Steve Bridson and Director of Franklin James Credit Management Ltd, Paula Bolton, will deliver options that will help you deal with your specific day to day business issues. Business guru’s will talk to you about your “bottom line” and “profitability” being the key focus areas of your business. In reality, poor cash flow can kill a profitable business and prevent it from growing. Make more by getting rid of clients! During this half day masterclass, Steve and Paula will address real problems each delegate faces, and in a ‘peer to peer’ environment we will deliver real solutions to those problems. This masterclass provides opportunity for all the above and is incredible value at only £99.00 including VAT. Delegates will receive a free template pack after the session so that processes can be implemented across your business from the moment YOU arrive back to your desk. Places are limited to 6 people so please book early to avoid disappointment. Steve has been a Director of a number of businesses for 23 years. Ranging from Start-up’s through to an established business employing 25 staff and turning over £1.2m. Throughout his career Steve has successfully grown businesses working with a diverse range of personalities. Familiar with the challenges faced by small business owners, Steve set-up Bucks Business Advice to help owners and managers deliver results and achieve goals they felt were unachievable. His philosophy is to put practical and achievable goals in place, along with a plan to hit those goals, and strategies to make it happen. Paula is the Director of Franklin James Group and co-founder of FJ Credit Management. Director of businesses for over 10 years, Paula has developed, grown and successfully sold business’ too. Paula is a qualified Civil and Commercial Mediator who has worked with reputable companies, including Hyundai, Barclays Bank, Specsavers and many construction companies. 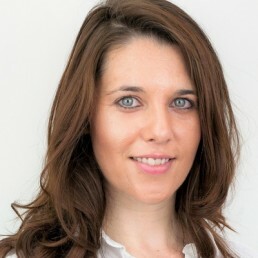 Within FJ Credit Management, Paula helps business owners recover aged debts effectively and increase their cash flow quickly with bespoke credit control techniques that work. Their debt recovery success rate is 90.7%. With Paula you can expect effective solutions that will deliver quick cash flow results to your business and always 100% transparency. Our vision is to provide business owners with insight, knowledge and skills to grow their business with confidence.